Are you still with me? What a fun topic for a Saturday night - but don't worry, I'm not going to try and blind anyone with science as I'm neither clever nor painstaking enough to understand all the technical stuff that's involved. Can we just acknowledge that hexagons are the closest science gets to magic? 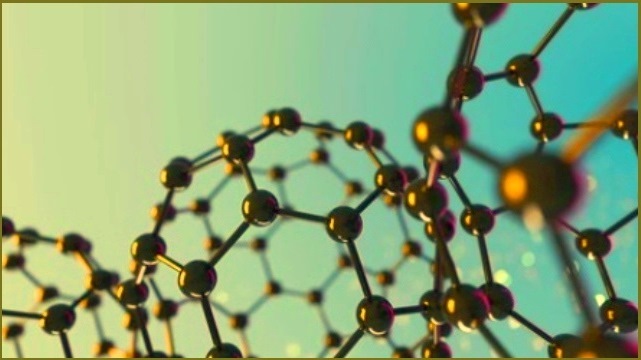 We can find the hexagon in everything from snowflakes to honeycombs, from turtle shells to basalt columns, from insects' eyes to those carbon allotropes known as fullerene nanostructures (as illustrated above). It's nature's way of demonstrating survival of the best fit; and we in turn have incorporated the magic hex into grand designs ranging from the modern football to vast geodesic domes (as first pioneered by the American architect Buckminster Fuller) such as those housing the Eden Project. We are probably most familiar with this hexagonal structure in honeycomb. Adele has already covered that angle admirably in her blog on the topic (check out Hexagons - A Bee Story), so I'll limit myself to a quick alert as to the more general plight of the bumble-bee and other species of small furry animals (arthropods in this case). There are two hundred and fifty species of bee in the UK, of which over two hundred are species of solitary bee, twenty-five are species of bumble-bee and there is just one species of honey-bee. All bees are vital to the environment, principally as pollinators of everything from flowers to fruit and vegetable crops. 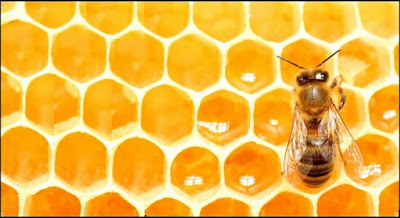 Bee numbers have been in serious decline for the last several decades, climate change, disease, habitat loss and pesticides collectively taking a heavy toll. The Department of Agriculture, Environment and Rural Affairs has created a Bee Health Inspectorate and that body along with the National Bee Unit is at the forefront of stalling the decline. Bees need all the help they can get. If I had a larger garden I'd seriously consider acquiring hives and becoming a bee-keeper. a bee - that is the question. from the hex in so doing. If you only have a small garden you can still populate it with plants to attract and sustain bees - crocus, foxgloves, scabious or even herbs like catmint and chives. Did you like it, by the way? Well I thought this was fun, Steve. Agreed, entertaining as ever Mr. R.
I can sympathize with the Hamlet Bee!